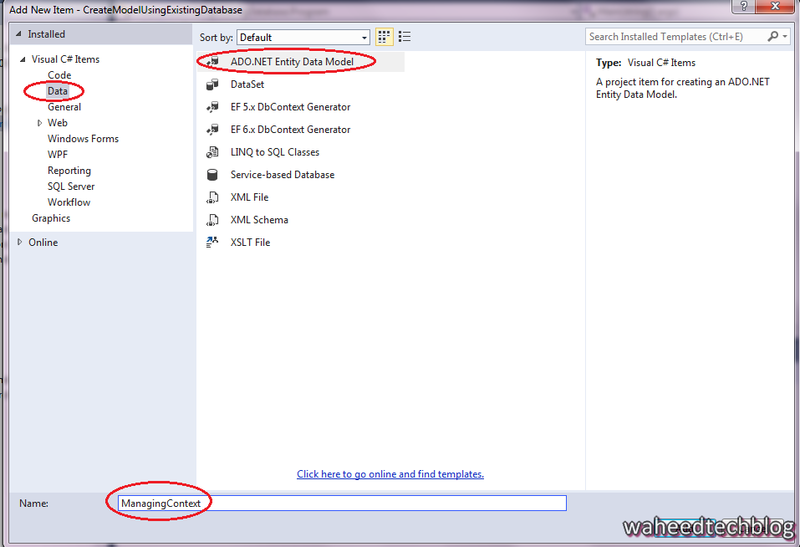 This is a step-by-step walkthrough which will use existing database to create the model. We will create one console Application which will generate the model using existing databases. Apart from that, You will also need to have NuGet installed on your Visual Studio and the 6.1 or later of the Entity Framework Tools. Check here to see how can you connect to existing database. 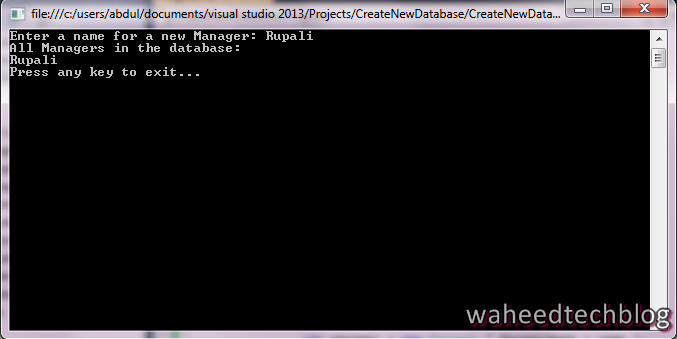 I have already created one database in my previous blog. 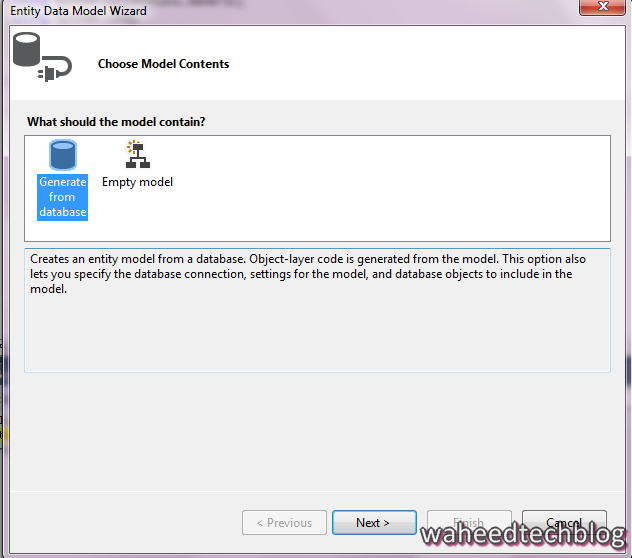 I ll use the same database(CreateNewDatabase.ManagingContext) to generate the model. Here I am going to make use of the Entity Framework Tools for Visual Studio to help us generate some initial code to map to the database. 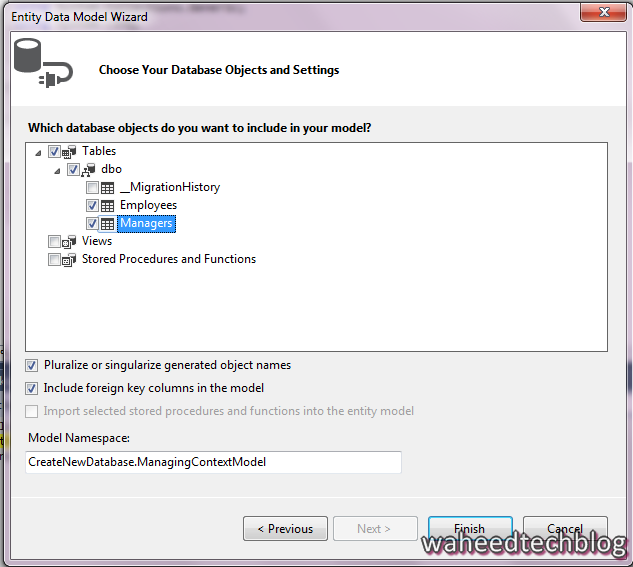 Now Select Code First From Database from Entity Data Model Wizard and then click Next. Select the connection to the database you created and set Entities name too and click Next. From choose your version, Select Entity Framework 6.0 and click Next. Once you are completed, you will see a number of items that have been added to the project. 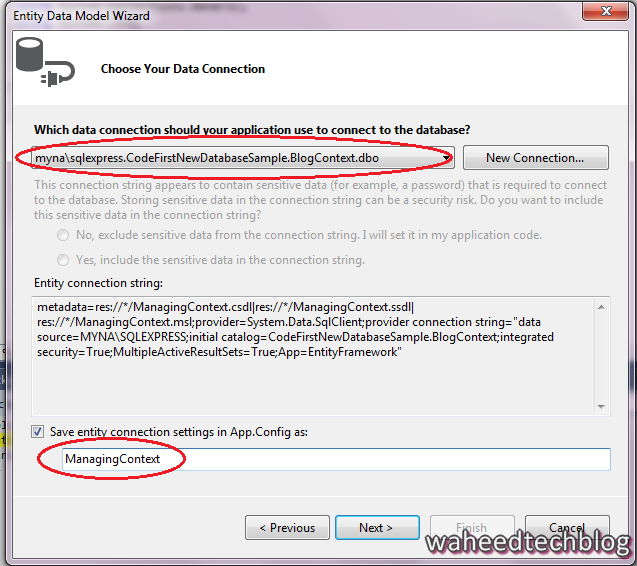 App.Config : This file contains the connection string to the existing database. ManagingContext : A ManagingContext class has been added to your project. This represents a session with the database, allowing us to query and save data. In the default constructor there is name=ManagingContext. This tells Application that the connection string to use for this context should be loaded from the configuration file.